Move outta the way! 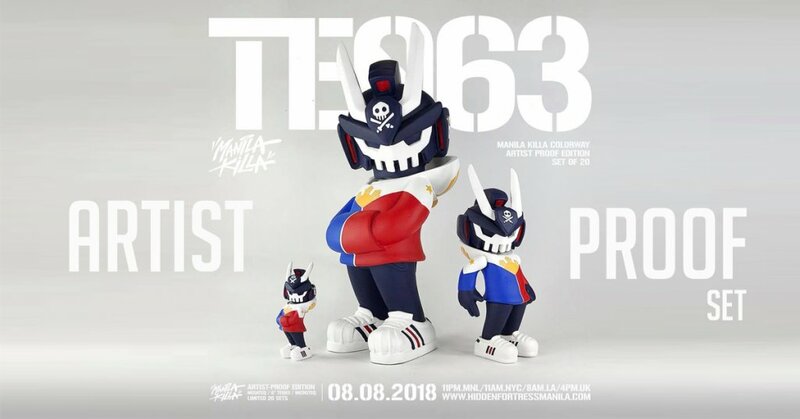 DTA Artist of the year, Quiccs is ready to launch his TEQ63 “Manila Killa Edition” Artist-Proof complete set this week! We can hear the hands and dry skin rubbing together as flippers and collectors get an opportunity to own the FULL set. We don’t know about you guys, but we love artist proof editions as all the proceeds go straight to the artist themselves and some include special things whilst supporting the artist as well as gaining AP’s. Only 20 sets available so better get that F5 refresh finger ready. WHERE: Available via www.hiddenfortressmanila.com , are the final 20 Artist-proof sets of “TEQ63: Manila Killa Edition”! Price: $450 with FREE Shipping Worldwide. Shipping is FREE and will be fulfilled immediately within this August to September 2018.